Niagara Falls is adding a new hospital to its list of booming urban developments. It will be located in South Niagara near the QEW and Lyon’s Creek Highway. The goal for the hospital construction is to phase out all of the older hospitals in Niagara, replacing them with high end services and technology. Niagara Falls is quickly becoming a hotspot for industry and development, and this new hospital goes to show why the boom is just getting started. The government of Ontario announced a $26.2 million grant plan in January of 2014. Since then, city officials have been pushing forward with plans for blueprints and research on services for the hospital. 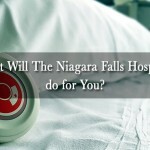 The plan is to have the brand new hospital replace existing facilities in the Niagara region. This includes Niagara-on-the-Lake and Fort Erie, as well as Welland and Port Colborne. This will allow the Niagara Health System to provide better overall care to patients. The Grassl family, who are investors from Toronto that own land in the region, donated the land designated for the new hospital. It was a total of 30 acres of land. Construction could begin as early as the end of 2016 as long as all of the plans stay on track. City officials, planners, and partners are all eager to begin this massive project and have been working diligently to keep a quick pace. What Will a New Hospital Mean for Niagara? The new hospital will provide Niagara residents with more services, modern technology, and better care all around. The new building will be larger than the existing hospitals in the South Niagara area, and will therefore be able to hold more patients at a time. It will also feature brand new equipment, with updated machines and techniques available. Aside from providing better healthcare for all of Niagara’s residents, the new hospital provides more curb appeal for the city and the region. The housing market in Niagara has been booming recently, and can only continue to rise with the addition of new amenities. 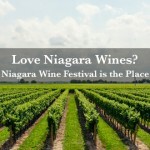 All of the Niagara region is getting a makeover. This makes it the perfect place to start the next chapter of your life. The planned Niagara Falls hospital will be the second new hospital for the Niagara region. A large hospital was completed in St. Catharines just 3 years ago. The St. Catharines Site is large enough to serve all of the surrounding communities, including Thorold and Niagara-on-the-Lake. It comprises nearly 1 million square feet and is stocked with high tech equipment. The construction of this hospital allowed room to bring regional care to the area, as well as comprehensive cancer care that was never available here before. A brand new mental health unit was created, along with a kidney care centre and a Heart Investigation Unit. Nearly 80 percent of the rooms at the St. Catharines Site are private, adding luxury and comfort to the patients who stay there. This has become the model for future hospitals in Niagara. Development in health care in the area is steadily increasing in order to meet the needs of the growing population. The Niagara Falls real estate industry is on the rise, as the city is quickly becoming the place to be for investors and buyers alike. Toronto’s buyers are noticing this area and have begun to invest in Niagara’s future, as well as their own. Investors have also come from overseas, with two large scale development projects planned for the area by Chinese development companies. Chinese investors have already bought many hotels and wineries in Niagara-on-the-Lake, bringing their business savvy to help develop the Niagara region. Since these investors are very experienced and skilled in the business world, they’ve been able to drive profits to the area. 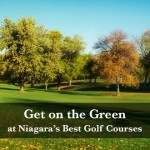 Now is the time to invest in Niagara real estate. Upper Vista is a luxury condo development project that will be the first of its kind for Niagara Falls. It will be built on the 18th hole of the Thundering Waters Golf Course, with close access to all of the area’s newest developments. Living at Upper Vista means that you will be close to the best health care you can get. The new hospital will be just 8 kilometres from Upper Vista. That means that all residents will be able to feel like they’re on permanent vacation. But you’ll have the convenience of having so many services just a few minutes away. In addition to emergency services, long term care options will also be available. So it won’t matter if you have any health conditions that would prevent you from moving. Niagara has everything you need. You’ll never have to worry if you need urgent care, because it will be right in your own backyard. You sure don’t get that with a cottage in Muskoka! Enjoy being able to live your life stress-free, with the region’s best health care so accessible. Get ready to start your permanent vacation. It’s finally time to relax. Investing in Upper Vista means planning for a smooth and relaxing future. Choose from our collection of vacation suites and penthouses, perfect for your retirement or as an investment property. Whether you choose a penthouse or a vacation suite, you’ll be getting a brand new living space with stainless steel appliances and 10 foot ceilings. Since everything will be brand new, you won’t have to worry about having to replace anything anytime soon. Upper Vista’s pristine location offers beautiful views of the surrounding forestry, skylines, and lakeshore. On a good day, you’ll be able to see Toronto from your balcony! Top-notch amenities will be included, such as a state-of-the art fitness room and yoga studio, modern indoor pool, hot tub, and relaxing garden terrace. There will also be a guest suite on the first floor where your visitors can be comfortable during their stay. Register now to take a look at a floor plan, see a pricing guide, or book a consultation at our Markham showroom.